packed up for my first facebook journey of the new year! i am ready for a facebook friendship adventure! or at least, i’ve packed my carharrt’s bag! tomorrow morning i head east to ohio and then ultimately, on thursday, i will end up on the doorstep of my first facebook friend of the year. she might have a panic attack. i might have a panic attack. we might together panic a bit. there’s a certain element of uncertainty! 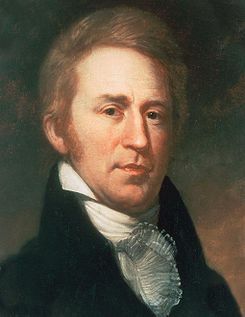 along with meriwether lewis, william clark led the lewis and clark expedition. beginning in 1803, the duo traveled for three years across the western half of the united states, securing for president thomas jefferson the pacific northwest. although dead since 1838, clark has a facebook page. he is my facebook friend and i visited him last year. okay, maybe i just visited his biographer lanny jones. my facebook friend in michigan has not left the house for some time. today i had a very afraid day and i think she must have those days every day. still, i want to see her and be a good friend to her. i think it’s really important to use facebook as a tool for good friendship, but good friendship can’t “just” be facebook. 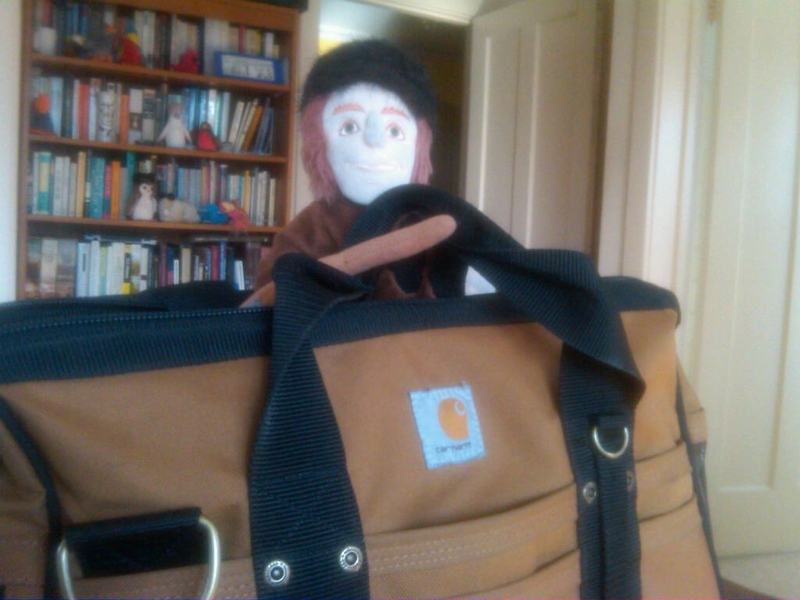 i am packed for adventure, with my william clark doll. he has been with me for every journey. last year, he traveled an estimated 60,000 miles. well, so did i.
so wish me and mr. clark luck–i am nervous, but i know that nervousness is just the other side of the coin of excited! This entry was posted on Tuesday, January 24th, 2012 at 10:11 pm	and tagged with agoraphobia, facebook, friendship, william clark and posted in Uncategorized. You can follow any responses to this entry through the RSS 2.0 feed. « sadly, pajama days must come to an end! A wonderful yoga teacher, Jacqui Bonwell says that nervousness is just your Spirit knocking on the door of your skin telling you you can do it! Can’t wait to spend some wonderful time with you. I think of Lewis and Clark every time I travel out west. What an adventure that must have been. Congrats on facing your fears and embarking on your own adventure. As someone recovering from Social Anxiety Disorder, I am very interested in your story. Thanks for sharing your adventures with us!